Whether you’re throwing your best friend her bachelorette party, toasting to the new year, or just need something to kick back and relax with, Boozy Raspberry Floats are the way to go. Check out our Facebook video and follow along with these instructions to create the perfect adult beverage float! 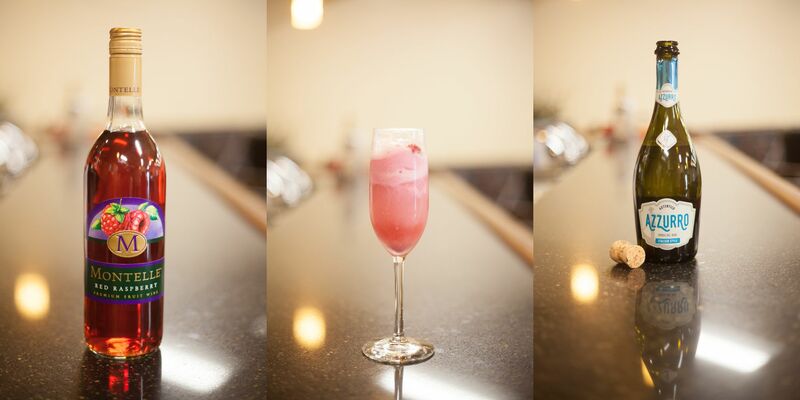 In Champagne flutes, Add a couple small scoops of Raspberry sherbet OR vanilla ice cream. Pour a small amount of Montelle Red Raspberry wine on top of the Sherbet. Top off each champagne flute with Azzurro Sparkling Wine or Champagne. Be sure to chill the sparkling wine/champagne before assembling the floats.